Doing a short sale is hard enough, quite frankly, but it's even harder when you have two loans - it's twice the headache because not only do you need the cooperation of the first lender, the second mortgage holder needs to release that loan as well. It doesn't matter if you take out a second mortgage to help buy the home or if you have secured a home equity loan after the fact. The second lender will always be in the second position unless the first is willing to subordinate. Ordinarily, a mortgage lender who is in the first position will not subordinate the position. First in position is first in the right to collect from foreclosure proceedings. This means when a Notice of Default is filed, if the second lender wants to be first in line to receive proceeds from the auction or sale or to take the property, the second lender must initiate its own foreclosure proceedings. In most parts of the country, this means the second lender must make up the back payments to the first lender, pay the first lender's cost to file the Notice of Default and associated expenses, and then file its own Notice of Default. If the second lender does not do this, the second lender could get wiped out in the foreclosure and receive nothing, especially if there is not enough money to go around. When the second lender receives a notice that states the first has foreclosed, after checking the value of the home, many second lenders do not initiate their own foreclosure proceedings. They take this stance because there might not be enough equity to make the cost of foreclosure profitable for the second lender. This non-action leaves the second lender in a vulnerable position. Even though the seller may have signed a listing agreement with a real estate agent, it is very likely that the lender will renegotiate the commission. Lenders pay less than traditional fees and try to cut their costs of the transaction every way possible. After determining that your situation fits short sale qualifications, and you have complied with all lender requests - plus, found a willing and qualified buyer - you're not yet out of the woods. Let's say that your closing costs are 5% or $4,250. After deducting the closing costs from the sales price of $85,000, you will have about $81,000 left. Now it becomes a tug of war between the two lenders. Generally, the first negotiation is to offer the second lender a small amount, say $1,000. Now, that might not seem like much when compared to the second loan balance of $55,000 because you're asking the lender to lose $54,000. On the other hand, however, if the second lender refuses, it may ultimately get nothing. There are times, it seems, that junior lenders appear to cut off their noses to spite their faces. But this is where the first lender can give up a little more to make the deal work. 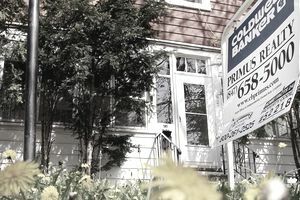 Most lenders in the first position are thrilled to receive even 90%, which would mean on an $85,000 loan, the lender might agree to take $76,500. If the net is $81,000, after closing costs, that would leave $4,500 that the first lender could offer to the second lender. The second lender must agree to release the loan. If not, the short sale will be denied, and the first lender will most likely seize the property in foreclosure, eliminating the second loan. Keep negotiating until a resolution is reached. Remember, both the first and second have a stake in making the short sale work.